Shoot nine 3-D pool games! 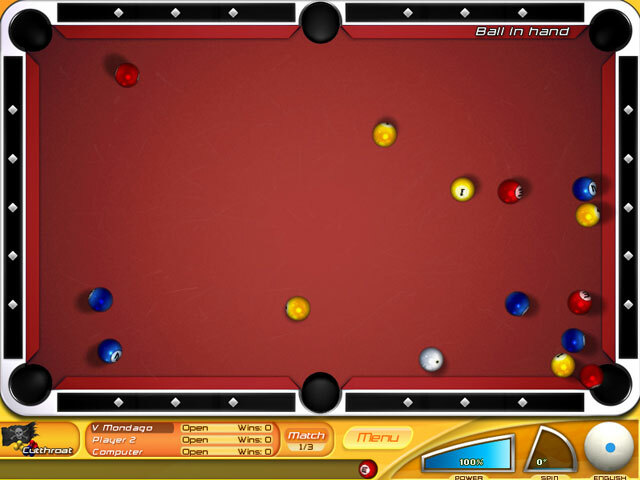 Sharpen up your pool cue for amazingly realistic 3-D billiards with authentic physics that bring the excitement of real pool to your fingertips. 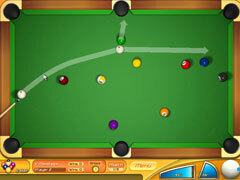 Features 9 different play modes including 8-Ball, 9-Ball and Cutthroat! -Play all 9 super-realistic games. 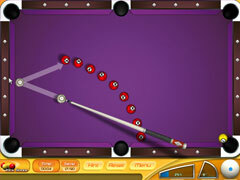 -Play against a friend or the computer.